What happens if you breach a community service order? Breach Community Service Order – If you fail, without a reasonable excuse, to abide by the obligations under a community service order, an application to revoke the order may be made by the assigned officer under the order. This may result in the court reconsidering sentencing options to impose on you. If you fail to perform the hours of community service required by the order within the relevant maximum period, this will constitute a breach of the order. If an application to revoke the order is made and if you fail to appear in court, a summons to appear will be issued. If you still do not appear in court following this, a warrant will be issued for your arrest. If it is proved in court that you have breached the community service order, the court may revoke the order and (if it considers appropriate in the circumstances) deal with the matter in any manner in which it could have had the order not been made in the first place. The court will also consider whether or not the breach is your fault. In other words, the court may impose any sentence option available for the original offence(s). If the offence you have committed provides that you may be imprisoned for up to 2 years, this is an option the court may impose. Another community service order will not be an option the court considers. Courts view breaches of community service orders very seriously and if you intentionally breach a community service order, the court may consider that another lenient sentence will not have a successful or preferable outcome. In other words, breaching a community service order may result in a heavier penalty being imposed. If you are found to have breached a community service order, it will take strong argument to convince the court that a heavier penalty should not be imposed, such as imprisonment. A community service order is a more lenient sentencing option, which may be imposed by the court where the offender faces imprisonment for the offence(s) committed. It is an opportunity for rehabilitation of the offender and a second chance to avoid going to prison. 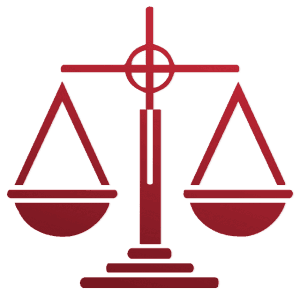 If you have been charged with a criminal offence, there are ranges of sentencing options, which may be imposed by the court including potential imprisonment. Call George Sten & Co Criminal Lawyers to speak with a specialist criminal defence lawyer who can advise you on the best steps to take in relation to your matter and defend you in court. A community service order may only be imposed for offences, which are punishable by imprisonment. The more serious the offence committed, the more difficult it will be to obtain a community service order. Courts are very reluctant to impose community service orders for more serious offences, particularly if the accused has committed a sexual offence. The court must consider the offender a ‘suitable candidate’ for a community service order before it will impose such an order. For more information on sentencing options including, good behaviour bond, community service orders, call George Sten & Co Criminal Lawyers. We can advise you on the sentence, which, may be imposed by a court for a breach of a community order and our specialist defence lawyers, can ensure the most lenient sentencing option possible is obtained. We are available 24 hours a day, 7 days a week and can be contacted on (02) 9261 8640 during business hours or 0412 423 569 outside of business hours. We may also be contacted via email at georgesten@criminal-lawyer.com.au.